The third event in Beyond the Trail: A River Runs Through It took place in November with the St. Johns River Water Management District. The featured speaker for the event was Jennifer Mitchell, the public communications coordinator of the SJRWMD. 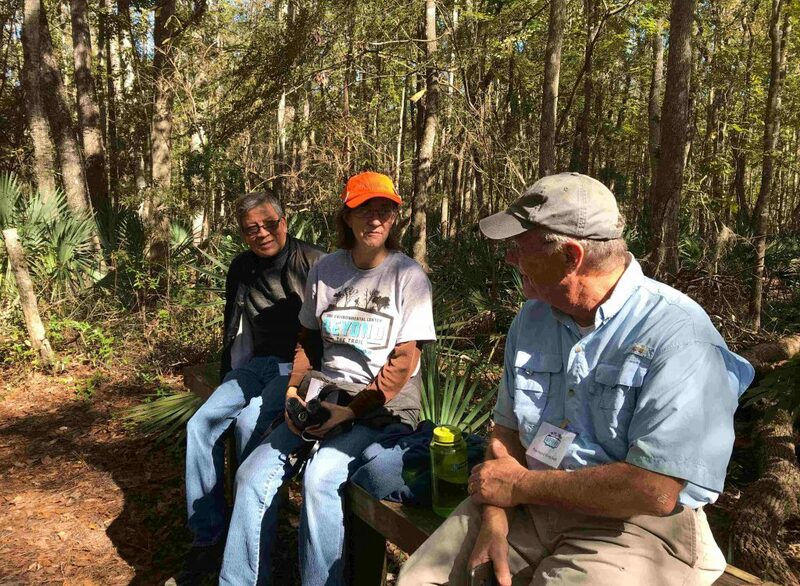 The event took place at Julington-Durbin Preserve. The preserve is a quiet getaway filled with diverse ecosystems nestled between suburbs and business offices. Julington and Durbin Creeks flow through the preserve. Both creeks are tributaries to the St. Johns River. They provide a good example of why protecting parks can help protect the river. The bridge leading to the wetlands area in the preserve. Mitchell led participants on the 3.9 mile White Blaze Trail. This trail provides a view of the many natural communities that exist in the preserve. 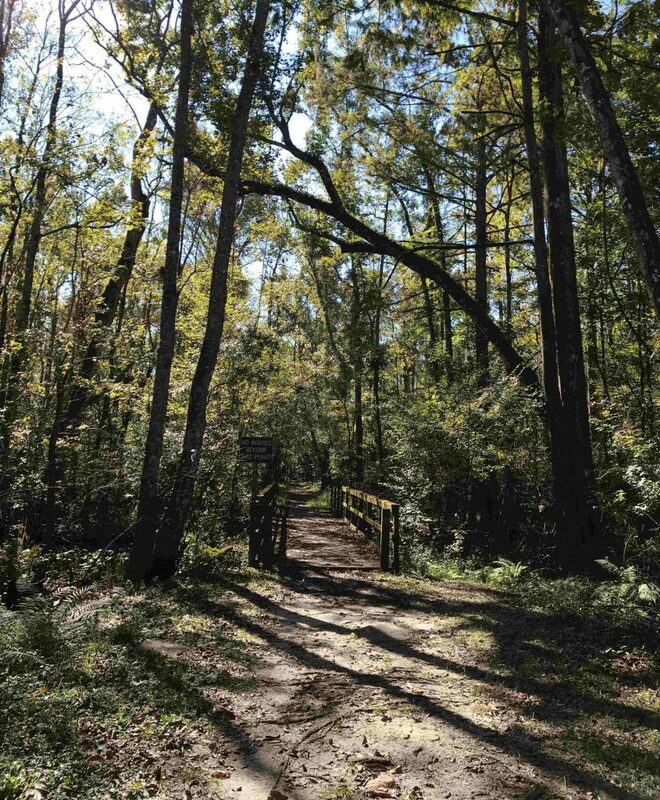 From sandhill to flatwood and the wetlands area, the land provides a diverse range of ecosystems. The St. Johns River Water Management District performs controlled burns in the preserve as part of their land management plan. Mitchell discussed the technique and importance of controlled burns. Many ecosystems like the ones seen in the preserve are fire dependent. These ecosystems require fire to restore diversity. Controlled burns also reduce the risk of dangerous wildfires. The gopher tortoise, longleaf pine, and wiregrass are fire-dependent species found in the preserve. Participants taking a break during the hike. 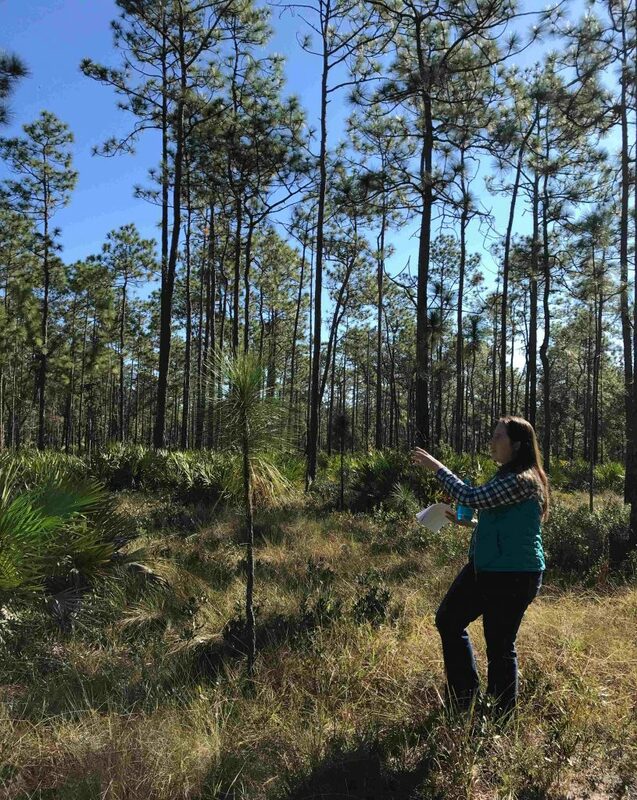 The sandhill community has seen a purposeful reduction in sand pines and a resurgence of longleaf pine (which was the dominant forest prior to silviculture), wiregrass, and pawpaw. The flat woods have a large population of longleaf pine. If controlled burns are not performed in the flat woods, palmetto will suppress the growth of the longleaf pine and reduce habitat for the gopher tortoise. Cypress, cinnamon fern, Florida cottonmouths, and manatees have been found in the wetlands. Both Julington and Durbin Creeks flow through the wetlands area. Wetlands play a vital role in protecting Julington and Durbin Creeks which flow into the St. Johns River. 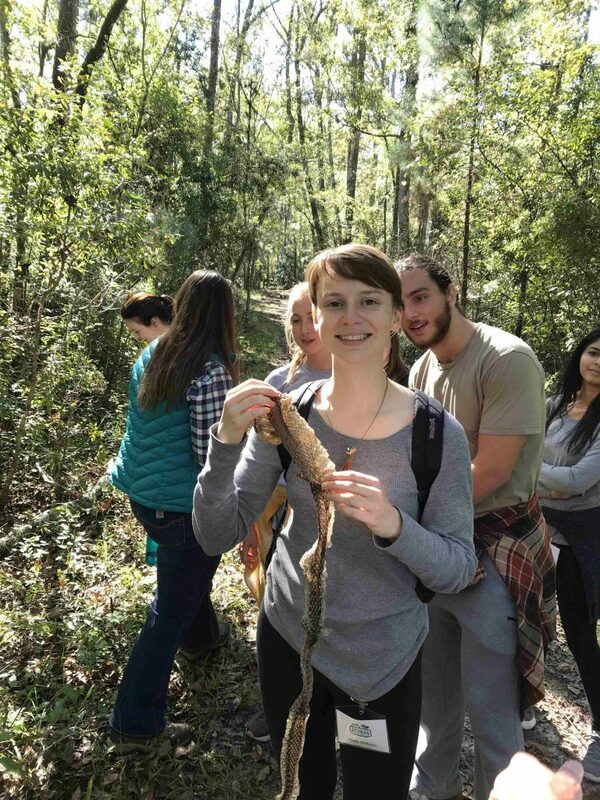 Student participant Molly O’Brien holds a snakeskin found along the trail. The next event will be held in January 2019 and will take participants to the Jacksonville Riverwalk for a lecture by UNF history professor, Dr. Charles Closmann and a ride on the St. Johns River Taxi. The remaining 2018-2019 events will feature a paddle with the St. Johns Riverkeeper and a hike hosted by the Ixia Native Plant Society.